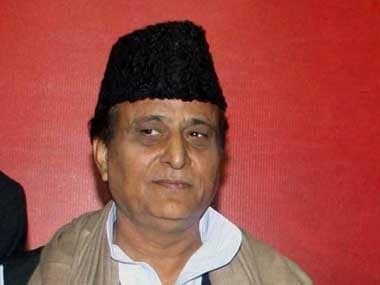 Lucknow: Hitting out at senior SP leader Azam Khan for his derogatory remarks on her, BJP's Rampur Lok Sabha seat candidate Jaya Prada, Monday said he has transgressed the 'lakshman rekha' and is no longer her brother. Khan, without taking names, on Sunday had said it took "you 17 years to understand her reality" but, "I could recognise it in 17 days that she wears a khaki underwear". The BJP claimed that the comment was made against Jaya Prada, who is fighting the Lok Sabha polls against the Samajwadi Party (SP) leader. "(He has) crossed the lakshman rekhaa (his limits) this time. He is no longer a brother to me. I had considered him as my brother and tolerated everything, but now I cannot tolerate (this)," she told reporters in Rampur. 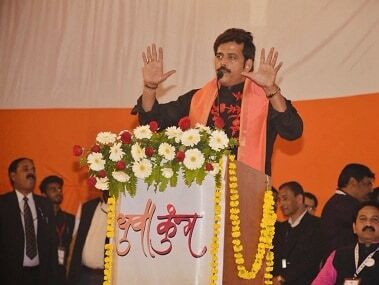 The actor-turned-politician also said the people will give an answer as people respect women. "What is this man doing? Does he have the right to contest polls? I appeal to the Election Commission that he should not be allowed to contest the polls, he is not eligible to contest the polls," she said. Khan had told an election rally in Rampur, "... you got represented (by her) for 10 years." "People of Rampur, people of Uttar Pradesh and people of India, it took you 17 years to understand her reality. But, I could recognise it in 17 days that she wears a khaki underwear,” he had said. The video of Khan's purported speech was also doing the rounds on various social media platform. Seeking an answer from SP chief Akhilesh Yadav, Jaya Prada said, "I am asking Akhilesh, whether you will allow such a person to contest the polls. Shame. He (Khan) should be expelled." Rampur goes to polls in the third phase of the Lok Sabha elections on 23 April. 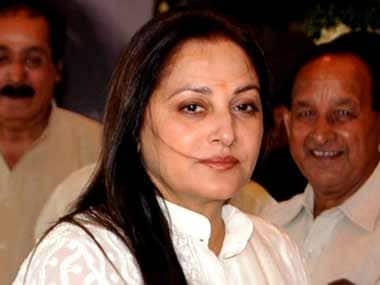 Jaya Prada also cited a Sanskrit shloka and said that "a family in which women are revered or given due respect, that family is blessed with divine qualities, divine food and children, and a family in which women are not revered, all their work bears no result". 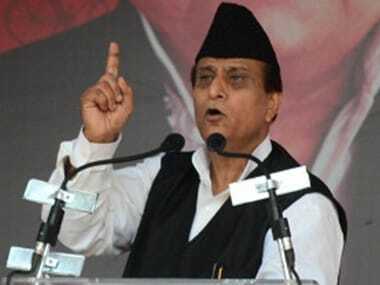 Taking note of news reports, the National Commission for Women Monday strongly condemned the "extremely derogatory" remarks made by SP leader Khan against Jaya Prada and issued a show cause notice to him.